Turbo Actuator Repair services by a Leading Turbo Remanufacturing Specialist. 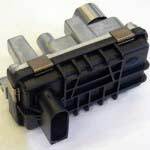 We carry most common failing turbo actuators in stock and can offer rebuilds on all turbocharger actuators with a Lifetime Warranty. For more information, check out our Turbo Actuator Rebuild articles below or call us on 0203 815 9441.